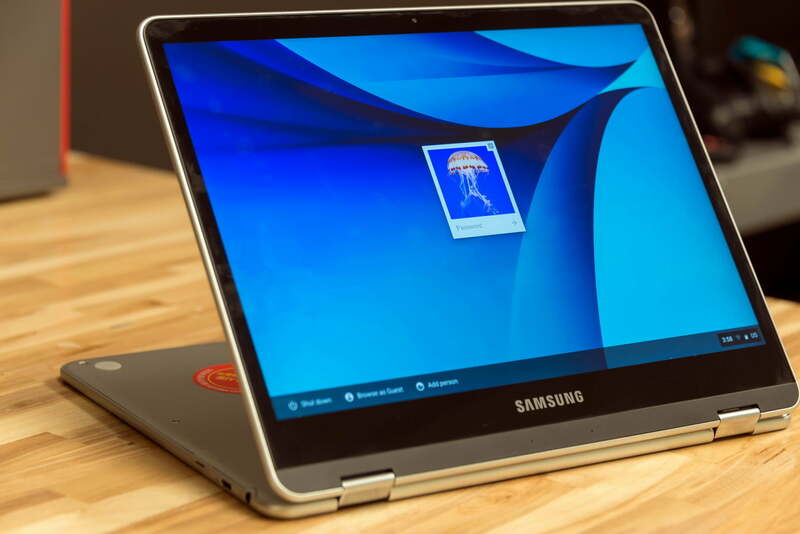 Despite some oddities, Samsung’s Chromebook Pro moves Chrome OS into a new era. Samsung’s Chromebook Pro and Plus for 2017 were the company’s next evolution in its Chromebook effort. 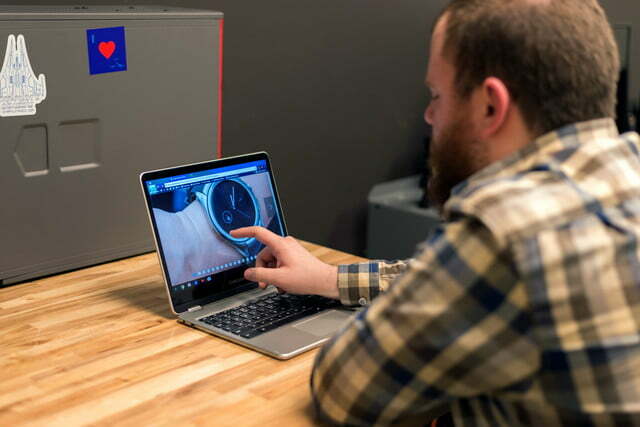 The team at Samsung paired up with Google’s engineers to produce Chromebooks specifically designed to run apps from the Google Play Store, with motion controls and multi-touch compatible displays. That doesn’t mean it isn’t a fully-featured Chromebook, too. The Samsung Chromebook Pro sports an Intel Core M processor, a 2,560 x 1,600 display, and multiple USB-C 3.1 ports. At $549, though, the Chromebook Pro is one of the more expensive Chrome OS options on the market. With a V2 of the Samsung Chromebook Plus on the market, is the original still worth the price of admission? 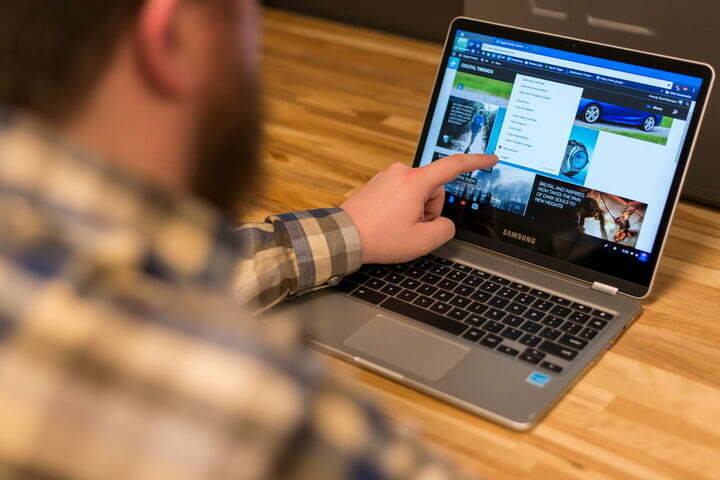 As far as Chromebooks go, Samsung’s offering is on the high-end. 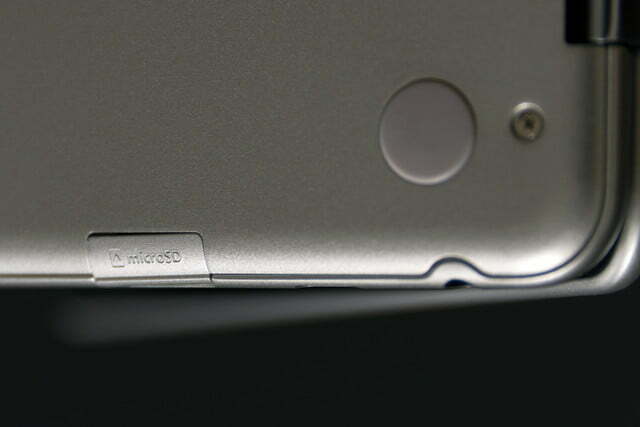 The magnesium alloy chassis feels sturdy to the touch. 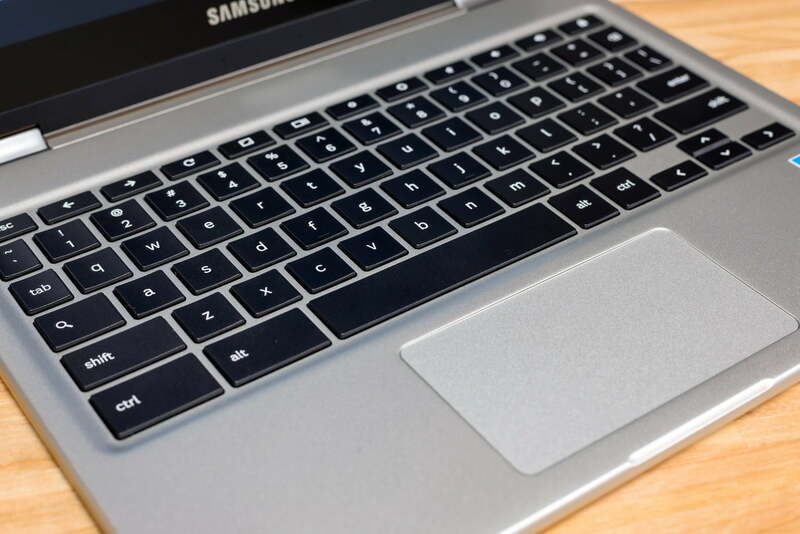 It’s important to note that there are two models of Samsung Chromebook, the Pro and Plus, but the major differences between the two are CPU and color. 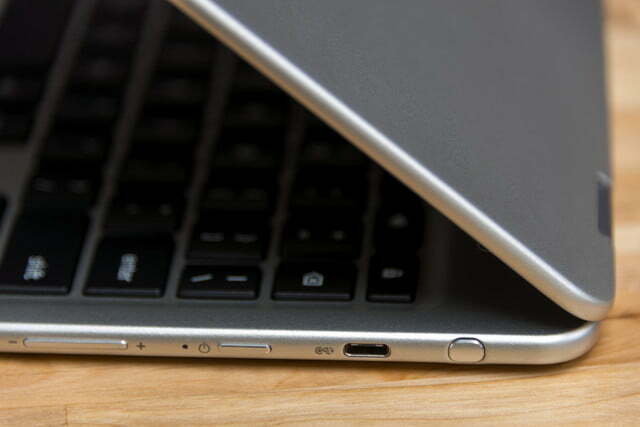 Our review model was the Pro, which features an Intel Core M processor. Ours was silver, but that is actually a darker shade on production units. In any case, the Pro is a simple but elegant machine. It’s not eye-catching, but also it’s inoffensive — something that’s becoming less competitive as more striking premium Chromebooks hit the market. HP’s excellent Chromebook x2 is a prime example, with its lovely “ceramic white” and metal color scheme. 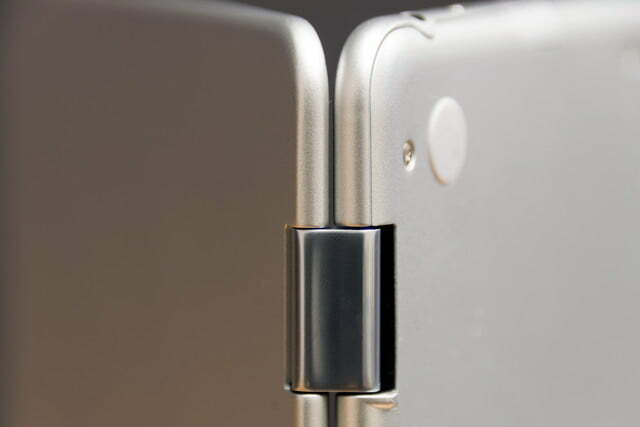 The Chromebook Pro’s hinge is sturdy, and it finds the balance 360-degree hinges often lose. 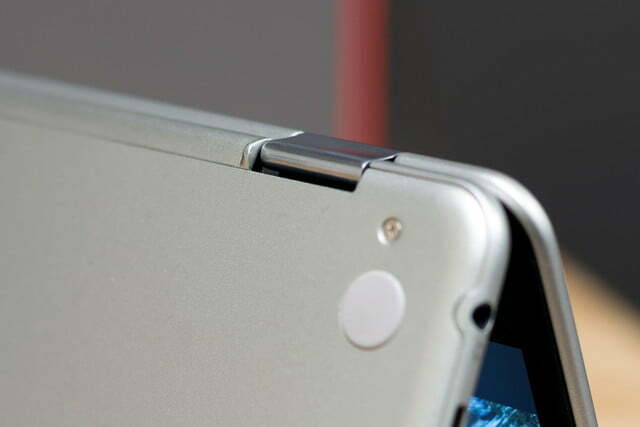 If you’re trying to tilt the screen, it’s easy to do, and the hinge will still hold the panel in place wherever you desir. This 2-in-1 works splendidly in both tent and laid-back modes. Fold the Chromebook Pro all the way around, and it’s essentially an Android tablet, although it’s not quite that simple. The power and volume buttons fall on the keyboard unit, so they’re behind the tablet portion when flipped all the way around. It’s not the easiest to use as a dedicated tablet, but it’s far from the most awkward, even though the detachable tablet Chromebook x2 provides for a better slate experience. It might no longer be the best 2-in-1 at this price point, but the Samsung’s small size and light weight nevertheless make it easy enough to handle. We also love the screen. More on that in a moment. 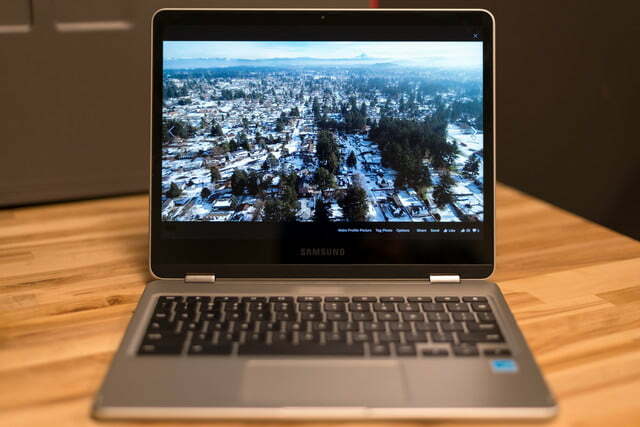 The Samsung Chromebook Pro has limited wired connectivity, which doesn’t come as much of a surprise considering its size or intended use case. There’s a USB-C port on each side of the system, with headphones and a MicroSD slot tucked away on the left side to go with a 3.5mm headphone jack. However, the keyboard layout feels cramped, and will feel doubly so to people making the move from larger Windows and Mac laptops. 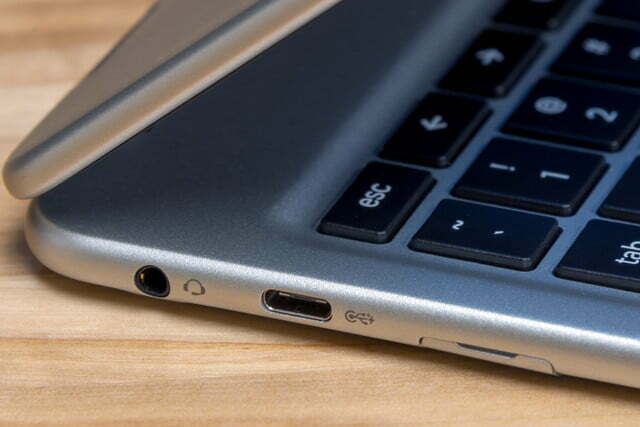 Important keys like backspace and tab are too narrow, which is not an uncommon issue on smaller Chromebooks. There’s also no backlighting, which seems like a notable absence for the price point, and we once again reference the Chromebook x2 as an example of a Chrome OS 2-in-1 that manages to provide a more natural keyboard experience. 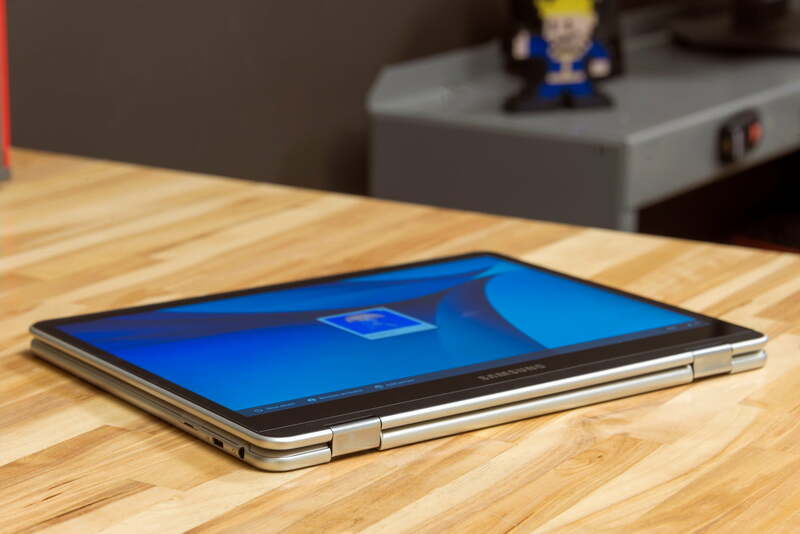 Samsung is one of a growing number of manufacturers to offer a digitizer stylus with its Chromebook, with HP and Google as to others. The Chromebook Pro’s version slips away into the back-right corner on the base of the laptop, popping out with a clicking button on its exposed end. Removing it will trigger a pop-up context menu that allows the user choose its functionality. Apart from standard touch and handwriting modes, there’s also a laser pointer mode, magnifying glass, and a selection mode for capturing screenshots. It may not be useful in all situations, especially in Chrome web apps, but the pen can help with precise touches in Android apps. It also has handwriting recognition through Google Keep, which allows you to quickly jot down notes and even search them, assisted by Google’s deep learning. It isn’t the most well-supported feature at the moment, certainly not the equal of Microsoft’s Windows 10 Ink, but frequent note-takers may find themselves reaching for the stylus on a regular basis. For this high-end Chromebook, Samsung reached for a 2,400 x 1,600 display, which boasts a pleasantly high 235 PPI and is equaled by the Chromebook x2. The Asus Chromebook Flip C302CA only packs in a 1080p screen, while the HP Chromebook 13 does bumps the resolution up to 3,200 x 1,800. That’s good news for the Samsung, particularly in a category where displays aren’t necessarily taken as seriously as they are in other laptops. Here, the Samsung’s panel can shine even brighter than it might otherwise. Its closest competitor, the HP Chromebook x2, is the Chromebook Pro’s equal — making these two of the best notebook displays you’ll find at this price point. 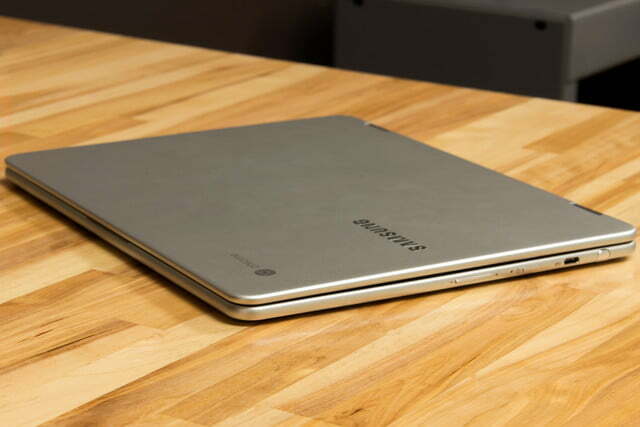 Our review unit, the Samsung Chromebook Pro, was powered by an Intel Core m3-6Y30, a dual-core chip with a 900MHz base clock, 2.2GHz Turbo Boost, and Hyper-Threading. It’s a well-equipped, if low-power, option for a higher-end Chromebook. It’s the same chip found in the Asus C302CA, and just shy of the Core m5 found in the HP Chromebook 13 or even the newer 7th-gen Core m3-7Y30 on the Chromebook x2. The other version of this system, the Samsung Chromebook Plus V2, is powered by a slower Intel Celeron CPU. That would save you $100 off the sticker price, but you’ll find performance suffers. Ultimately, if something is already working well in the browser on Chrome OS, you’re better off sticking with that instead of switching to the Android version. For us, that meant Google Play apps were often relegated to niche status – playing games like Fallout Shelter or Hearthstone, and the Netflix app lets you download some TV shows and movies. At just .55 inches thick, Samsung’s Chromebook Pro fits in right alongside the thinnest systems we’ve tested. Its compact size shouldn’t be a problem for anyone, even those with small work bags. It’s also about a third of a pound lighter than the Asus, although neither is light enough for long-term tablet use — unlike the tablet portion of the Chromebook x2 that weighs a scant 1.62 pounds and is only .33 inches thick. As far as battery life goes, the Samsung doesn’t impress as much as we’d hoped going in. Its 39-watt hour battery isn’t large by modern standards, especially considering the 45 watt-hours provided in the Chromebook x2, but it’s still a decent size for a small, efficient Chrome OS laptop. There are several other Chromebooks at the high-end price point for the category. The most immediately comparable system is HP Chromebook x2, which costs roughly the same at $599 but offers a more attractive and usable form factor. 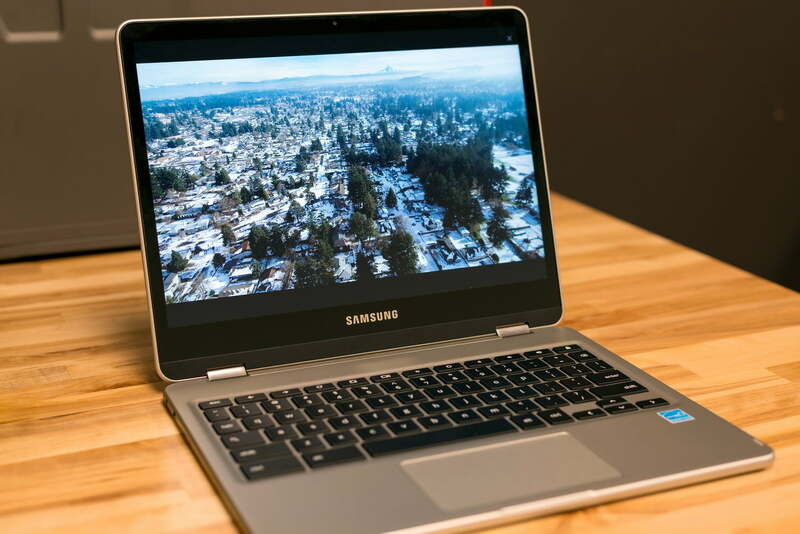 Samsung’s Chromebook Pro represented a major step for Chromebooks. Its hardware is still relatively current, and it boast a rich feature set that you can expect to define the category for years to come. At launch, the Samsung Chromebook Pro is better equipped than any other Chromebook on the market to accept new features and software. Yes. The Chromebook Pro remains a very good Chromebook and is the best 360-degree convertible 2-in-1 running Chrome OS. It nails some of the fundamental elements of a high-end Chrome OS device, including a high-resolution display. The Chromebook Pro has a few rough edges, and more traditional or less expensive Chromebooks could be the better pick for users who just want a very simple, intuitive laptop. Those who care about Chrome OS, though, will adore the Chromebook Pro’s advanced features.